» Can You Use An IWB Holster For Open Carry? Can You Use An IWB Holster For Open Carry? 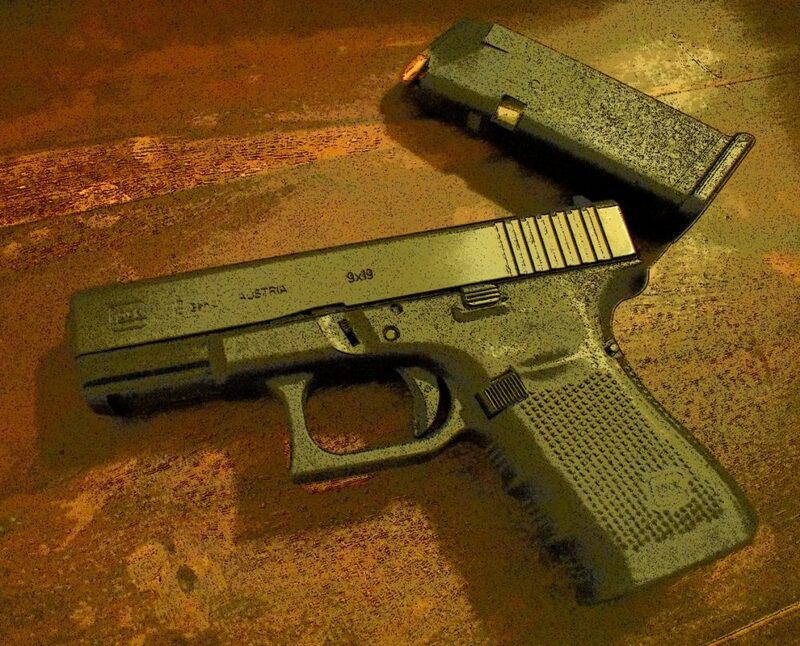 In this article, we discuss whether or not you can you use an IWB holster for open carry. We will also look at what factors are important to keep in mind when doing so, as well as other options you can choose when it comes to open carrying! IWB holsters, shortened for ‘Inside the waistband’ carriers, are the norm when it comes to concealed carry. These holsters provide great support when holding a gun by attaching it to a belt which is hidden by a shirt, therefore providing the perfect concealment. But what about open carry? Open carry is when pistols are carried on the outside, in plain sight of the world rather than being hidden, or concealed under a shirt. 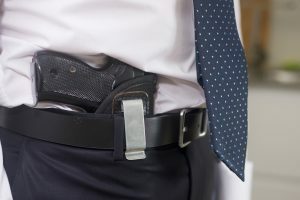 Generally, when it comes to open carry many people choose to wear holsters which are over the waistband rather than on the inside. 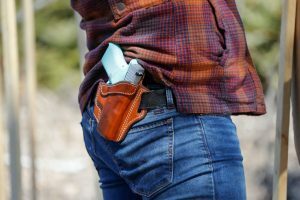 Open carry IWB holsters do exist, however it is rare for a person to use one in such a way; it’s not that they couldn’t, but they generally choose not to. Choosing concealment with an IWB holster is extremely simple, as you only need to cover the holster with your shirt. Instead, when open carrying you just make sure your shirt goes underneath. The reason the IWB holster is perfect for concealment is due to the fact that it can be easily concealed so simply with minimal effort. One can even tuck in their own shirt and conceal carry with a IWB holster. In contrast, the OWB holsters don’t conceal as well and require more effort to be hidden. 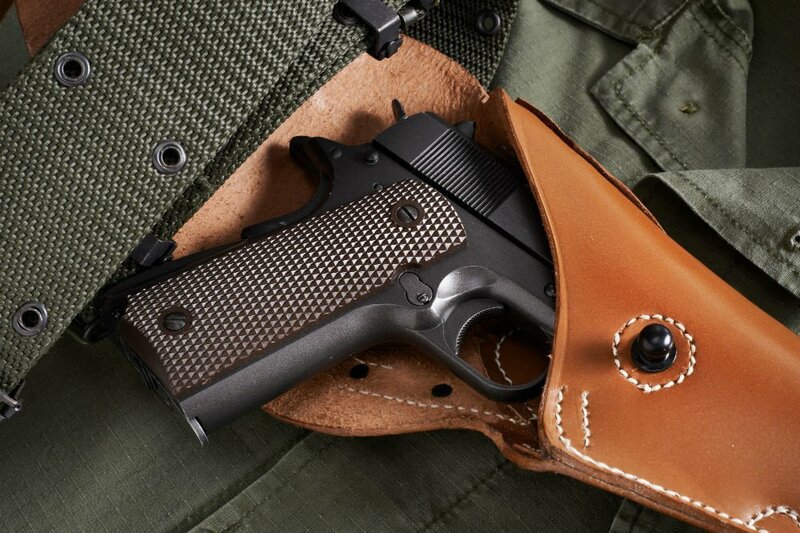 Most OWB holsters offer more than one purpose, including the option to open carry when required, and if more concealment is desired simply cover another layer over the pistol to cover it up. Therefore using an IWB holster is favored for concealment as it can be done so simply and with little to no effort. There are times however, when some individuals wish to open carry when wearing an IWB holster. This can be done by not tucking the shirt over the holster but instead leaving it tucked behind it, so the gun can sit freely without being covered up. This means it is now considered open carry. For some people however, the IWB holster isn’t as secure as the general OWB one due to the fact that they do not come with retention thumb breaks or locking devices. However, many IWB holsters do offer adjustable retention possibilities, which perform equally to the active retention devices as they provide a strong clamp force on the belt of the wearer. When it comes to whether you should open carry or concealed carry, it is important to remember that certain states have laws. 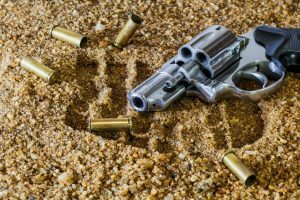 There are a few states where no license is required to open carry and therefore people will do it in order to avoid the troubles and costliness involved in acquiring a concealed carry license. It is recommended to go through the trouble to get one, however many people choose to continue open carrying often out of laziness. The good thing is that most states do indicate the difference between open carry and concealed carry, which makes things a lot easier. 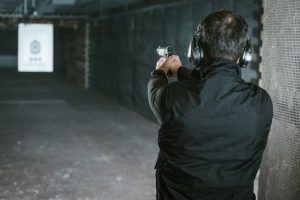 Usually, the difference is that open carried pistols are not able to be concealed, and therefore when open carrying the pistol should be able to be seen at all times. This is important in the eyes of the law due to the fact that if someone is using an IWB holster for open carry purposes, then it must be clearly seen and visible and remain so. If not, there is a possibility that the individual could be secretly concealing with no license and therefore committing a crime. As an IWB holster can easily be concealed, care must be taken in order to maintain that it stays open carry and not concealed as this can quickly turn in to an unwanted issue, hence why many people choose not to do it as often. Although a number of people choose to open carry with an IWB, it is still something which is rarely done. This is due to the fact that the IWB holsters works so well when it comes to concealment, and therefore they are better suited to doing this job. 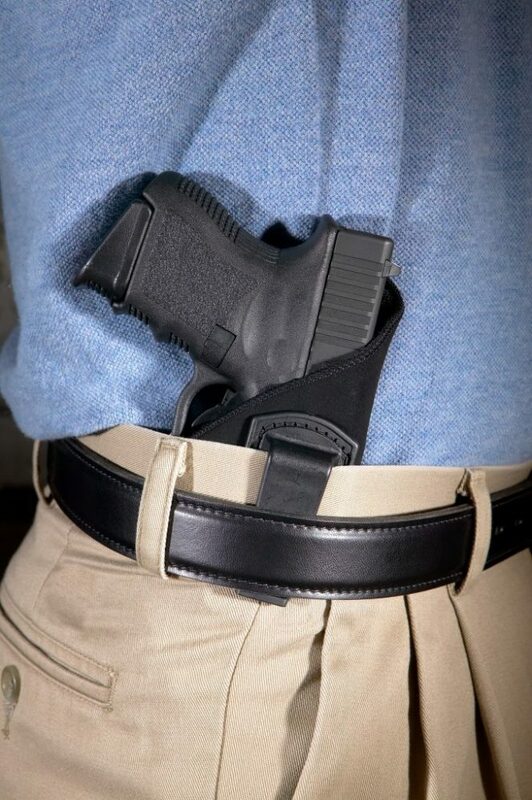 However, perhaps open carry is needed sometimes and concealed carry at others; in this instance, the IWB holster can definitely be used for either purpose. In the same way, sometimes people prefer to have an OWB holster for specific periods and an IWB for another. 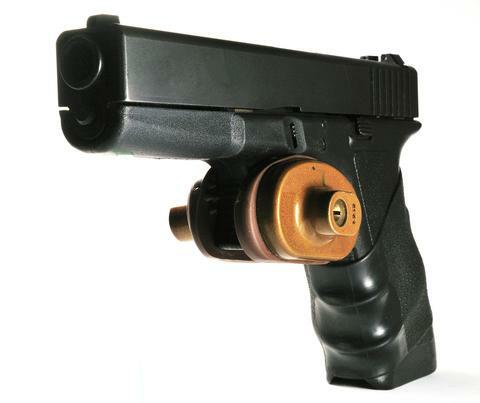 Due to this, many holster companies have started making convertible holsters which can easily be used for both purposes. 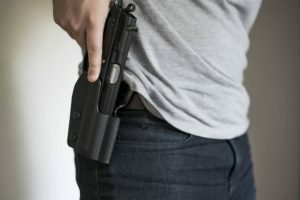 An individual who wants to open carry sometimes and conceal at others without having to change between two different holsters can, therefore, take advantage of these types of holsters. Therefore, to conclude, it is possible to use an IWB holster for open carry. 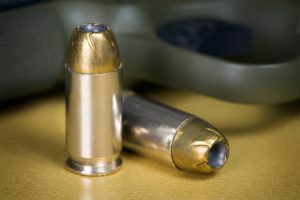 When doing so, however, it is important to keep in mind the state’s carry law in order to make sure you don’t break it! 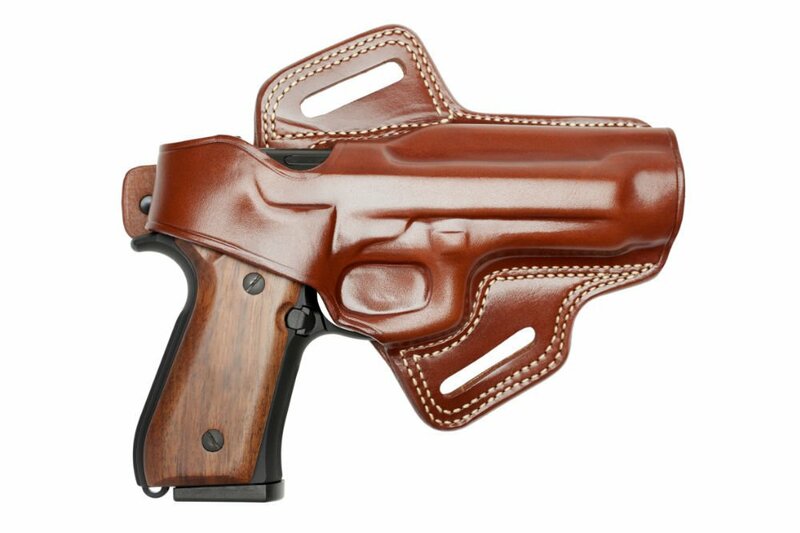 It’s also important to keep in mind the type of holster one is using as there may be better options suited to this purpose - as briefly mentioned, using a convertible holster will make your life so much easier by giving you the option to chop and change when required. The best advice is to use an IWB for sticking to concealed carry, as it is perfectly suited to doing this with little effort. OWB are the best option when it comes to open carry, but then again if you desire there are also the convertible options so the choice is really up to you!